By Madlen Davies and Ben Stockton – at media partners The Bureau of Investigative journalism: Doctors in Gaza and the West Bank warn they are battling an epidemic of antibiotic-resistant superbugs, a growing problem in the world’s conflict zones and one that risks spilling over borders and diminishing the global medical arsenal against serious illness. The rise and spread of these virulent infections adds to the devastation of war, increasing medical costs, blocking hospital beds because patients need longer care and leaving people whose injuries might once have been healed with life-changing disabilities. Gaza is a particularly fertile breeding ground for superbugs because its health system has been crippled by years of blockade and antibiotics are in short supply. Even though doctors know the protocols to prevent the rise of drug resistant bacteria, they do not have supplies to follow them. Shortages of water, power and fuel for generators mean doctors often cannot meet even basic hygiene standards. Staff sometimes can’t even wash their hands, sterilising machines are unreliable, and there are shortages of gloves, gowns and chlorine tablets for sanitising the hospitals, medical professionals say. Decade-long Israeli restrictions on travel and trade mean Gaza is relatively isolated compared to conflict areas that have also proved fertile ground for super-bugs like Syria or Iraq. The spread of one drug-resistant bacteria from Iraq was noted by the US military over a decade ago; they logged such a huge rise in injured personnel returning with resistant Acinetobacter that the bacteria was eventually dubbed ‘Iraqibacter’. Gaza is not totally isolated. Small numbers of patients do cross its borders to transfer to other hospitals in Palestine, to Israel and to nearby countries like Jordan, Egypt and Lebanon. Healthy people can also carry the bacteria without showing any symptoms, so workers, doctors and aid workers traveling in and out of Gaza could carry superbugs to other countries, where they could cause hard-to-treat infections. The super-bugs can also travel without human hosts. “It will always get out,” said Dr Ghassan Abu Sittah, who also studies conflict medicine at the American University of Beirut Medical Center. “The untreated sewage from Gaza containing multi-drug resistant bacteria goes into the aquifer” which also supplies Egypt and Israel. The scale of the problem was thrown into relief by the scale of violence in Gaza this year, when over 200 were killed and thousands injured, mostly shot in the legs, in protests along the border that culminated in a “Great March of Return”rally in May. Fahed Zuhud, 29, is one of the wounded. He was shot in February when throwing stones at Israeli troops near the border, and the bullet shattered his leg. Rushed to hospital for surgery, his wound became infected and he developed osteomyelitis, infection inside the bone and a serious complication which can often lead to amputation. Doctors have not been able to identify the strain, but believe it is multi-drug resistant because he has had every antibiotic available, to no effect. He has endured 31 operations to treat his injuries, reconstruct his leg and try to clear the wound of infection. On three occasions doctors advised him that amputation would be the best option, but he refused. Gazan orthopaedic surgeon Dr Mahmoud Mattar says around 2000 Gazans are currently dealing with serious gunshot injuries to the legs that would typically require at multiple reconstruction operations and two years of rehabilitation. But nearly all of these patients also have superbug infections, meaning surgeons have to delay closing their wounds, reducing chances of successful reconstruction, extending hospital stays by months and increasing the risk of amputation. The mass production of penicillin towards the end of the Second World War saved millions of lives and prevented countless disabilities among those injured in war by allowing doctors to avoid amputations. But as the world’s superbug crisis grows ever more severe, some modern conflict zones are starting to resemble those from pre-penicillin days. 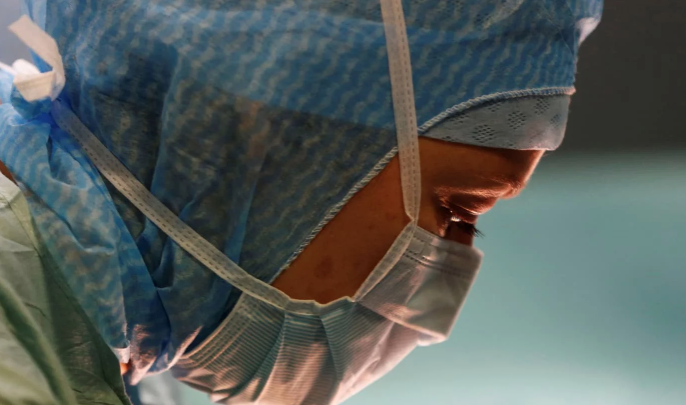 “We are expecting an absolute catastrophe in terms of residual disability in the wounded,” said Dr Ghassan Abu-Sittah, head of plastic surgery at the American University of Beirut Medical Center, who travelled to Gaza in May to treat patients at Al Awda hospital. All the superbugs on the World Health Organisation’s (WHO) list of priority bacteria, which pose the greatest threat to human health, have been reported in Palestine. These kind of infections are a major challenge for any health system. Superbugs are killing hundreds of thousands of people all over the world, and no new class of antibiotic has been developed since the 1980s. There are shortages of lab equipment, and the quality of testing is variable. Staff aren’t trained to take bone and tissue samples, which would help identify infections and the best treatment, including for the group of patients with gunshot injuries. The medical charity Medicins sans Frontiers hopes to remedy at least this one problem and is setting up a service with the Ministry of Health to test bone samples from hospitals all over the strip for multidrug resistant osteomyelitis so they can be given targeted antibiotics. It is also running a clinic, where patients with leg injuries can be followed up and rehabilitated more easily. Zuhud is now being treated there, and because he can no longer work, spends his time between home and hospital. He is waiting for a bone implant, but the infection has stalled his treatment. If his infection had been treatable with antibiotics, Zuhud might be able to walk by now, said Dr Ahmed Abu Warda, a doctor at the clinic.